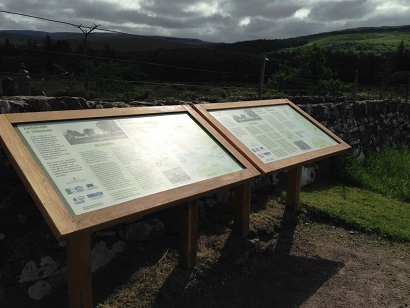 The project centred on the development of an interpretive plan for the Applecross Peninsula, created with the participation of the local community. It was aimed at 1) making the natural and cultural heritage of Applecross more accessible to local people and visitors, 2) setting Applecross in context, to show how its history, archaeology and geology has influenced the way it looks today and 3) interpreting modern-day Applecross (and, perhaps, the Applecross of the future). The final plan developed identified 1) how local people wanted to interpret their area and 2) worked-up details of a number of interpretive projects for implementation. The task of developing this plan was given to Interpretaction and consisted of extensive community workshops and consultation. The result was a document that would inform all projects within the ALPS scheme, something that ensured all projects were in line with local opinion and of benefit to the community as well as visitors.